This week we would like to share a rare sighting up here on the summit. 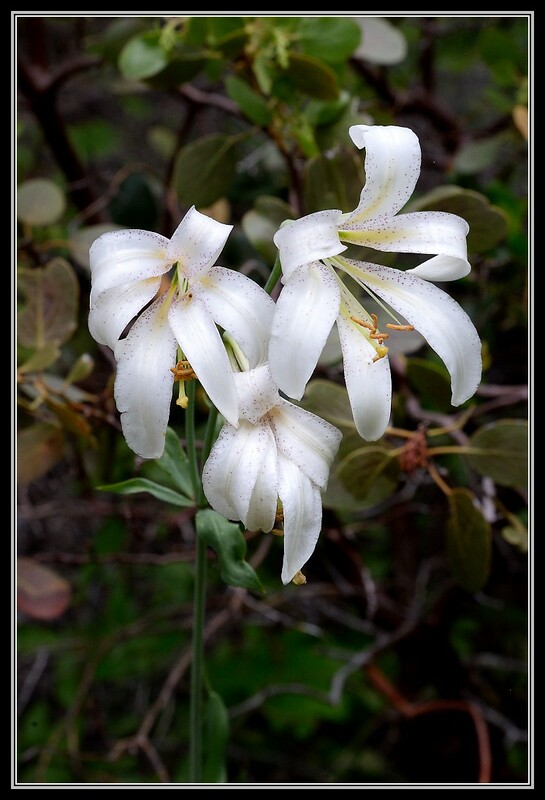 We found this Washingtonian Lily tucked in the foliage on the Sterling Canyon trail just about 50 yards the other side of the newly restored Serena Creek bridge. It’s pretty hard to find these little beauties up here and we thank Ali van Otterloo for telling us about it.